The summer days of the Outer Hebrides are long in sunlight with their peak being reached on Midsummer’s Eve last week. In these remote northerly latitudes the sun barely sets, dipping only briefly below the horizon before rising again with the sky still glowing in spite of its disappearance. The BBC cameras were at the Callanish Stones on the longest day to catch the moment, although the weather was far from summery. The mills too are working long hours to meet orders for clients. 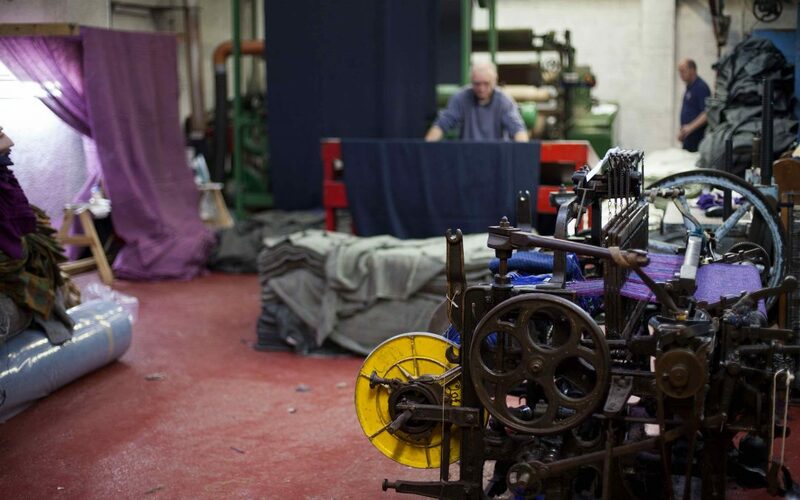 The Shawbost Mill of Harris Tweed Hebrides operating 24 hours a day at the moment dyeing, spinning, warping and finishing their cloth for global shipping. The weavers, as a result, are busy taking few holidays as beams come and go from their loom sheds on the crofts across Lewis and Harris. Also peddling hard but a little further from these shores were the riders of the Harris Tweed Ride in Edinburgh on Sunday afternoon, an annual gathering of bike lovers and Harris Tweed aficionados who don their best tweeds and get riding around the cities of Glasgow and Edinburgh. Partaking in good food, drink and enjoying the finer things in life, of which Harris Tweed is most definitely one, there are tweed rides all around the world so keep an eye out for one in a city near you, they look great fun!